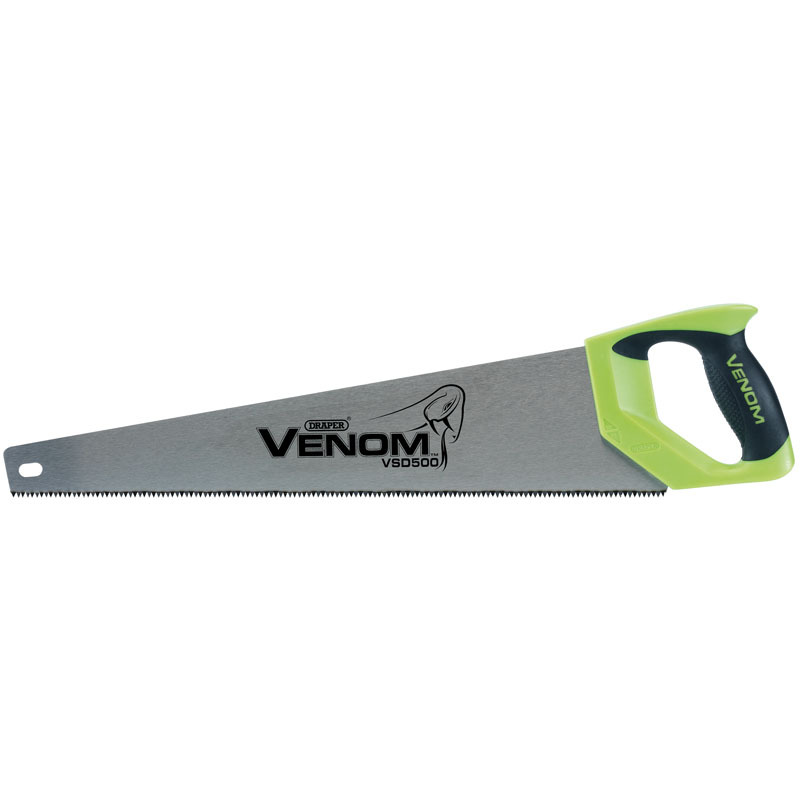 The finely ground handsaw blade is coated with an ultra-tough lacquer protecting the saws blade from corrosion, whilst easing friction when sawing. 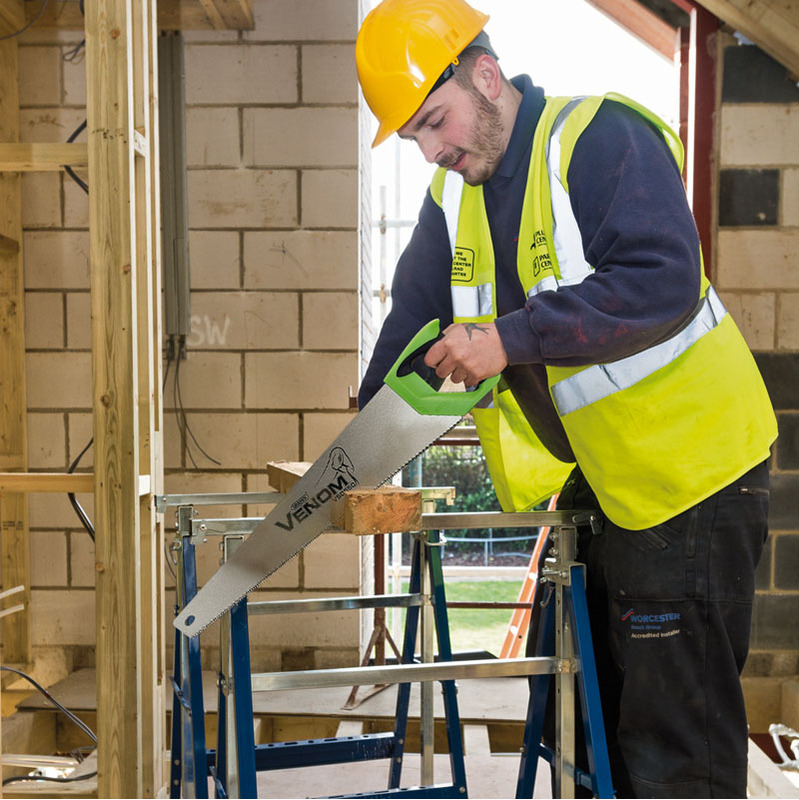 The blade is ultrasonically welded to a bespoke ergonomic soft grip handle with a ridge free finger support achieving precise cutting and user comfort, even when used for prolonged periods. A comprehensive range of triple or double ground, first and second fix handsaws are available in the Draper Venom range and all are totally suited for use by tradesman.